Here's a snapshot of the Excel spreadsheet where I tracked the #LooseMooseContest hashtag from day one of the contest (if you don't see your tweet in the hashtag stream, it means there is no entry from you. Sorry. Read this to find out the possible reasons why your tweets are not showing up.) The tracking was done using chronological order, as in, #1 was the first person to enter the contest. 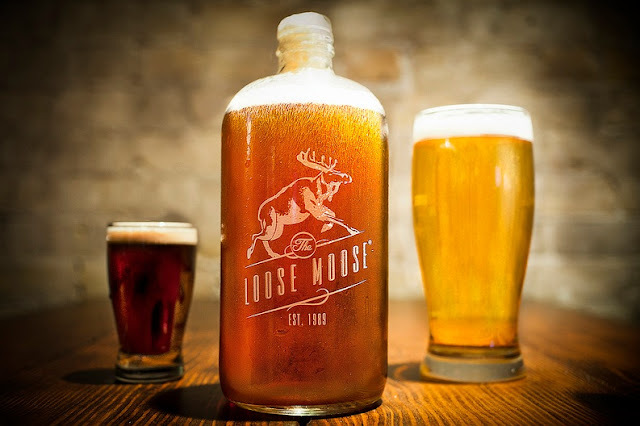 To enter, the person has to tweet "Hey @foodieyu I want to win a $100 Gift Card to @LooseMooseTO! http://bit.ly/ZmtlCM #LooseMooseContest". Each person may tweet once a day for the duration of the contest (I removed any duplicate entries.) Once the contest was over and everybody's entries were accounted for, I went to check if they follow me on Twitter. 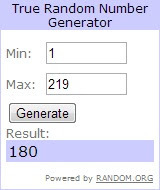 After verifying, I used "True Random Number Generator" from random.org to pick a winner from the 219 entries.